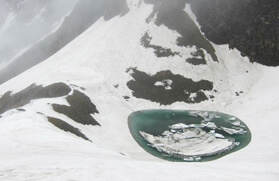 One of the most promiscuous and colourful treks in the Indian Himalayan region during the time and process of budding and unfolding of blossoms especially in the months of July, August and September, the Kuari Pass - Valley of Flowers Trek is undoubtedly the easiest trek in the Garhwal Himalaya. The maximum altitude in this trek remains at 4,700 meters and thus welcoming families and beginners from all over the world. The trek divulges the beauty of two different terrains. Passing through a rich forest of oak, deodar and chestnut trees, the Kuari Pass Trek heads to the summit of Pangarchulla Peak, at an altitude of 4,700 meters wherefrom one can capture the natural diorama of the binocular distant peaks of the Garhwal Himalaya. In contrast the trek to Valley of Flowers, where the maximum altitude is 3,600 meters, allows one to step on to the bed nature secluded within the mountains and dotted with more than 500 species of colourful flowers layering down the valley. 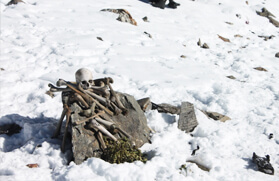 The route to Kuari Pass that was once travelled by Lord Curzon in 1905 passes through the gentle meadows of Auli at an altitude of 2,450 meters to Gorson and thereafter the trail leads to Khulara, which is at an altitude of 3,225 meters. 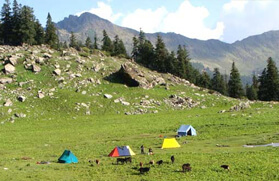 The trek moves through a vivid forest of oak, deodar, maple, and chestnut trees, which is an abode of abundant avifauna. It continues to Tali before you reach the Khulara campsite. The undulated path further heads to Kuari Pass with small and big mountains jutting out. 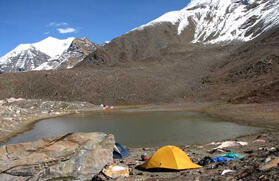 From the route leading to the campsite and the top you get to see a stretch of towering peaks like Nanda Devi, Trishul, Changbhang and many more. One of the big highlights of this trek in the Garhwal Himalaya is that you will also get the opportunity to meet and interact with the shepherds and live a moment of their lifestyle. 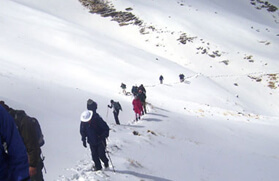 The spectacular 4 days trek in the Garhwal Himalaya region descends to Joshimath via Auli. The trail to the fairy land, Valley of Flowers, commences from Govindghat, which is approximately 20 kilometers of drive from Joshimath. Walking through the dense forest along the splashing stream to Ghangria is a clickographic hike of 4-5 hours. From Ghangria the track is further whirled to Hemkund, which is one of the popular Sikh pilgrimage sites and the other track leads to Valley of Flowers. 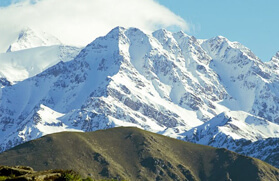 Its altitude ranges from 3,200 meters to 6,675 meters and covers an area of approximately 90 square kilometers. Such a variation in the altitude and being a part of the Nanda Devi Biosphere provides a great diversity of landscape and microhabitats. 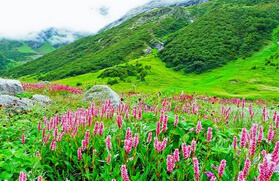 The Valley of Flowers, which is also a national park is secluded by Gauri Parvat at 6,590 meters and Ratavan 6,125 meters in the east, Kunth Khal at 4,430 meters in the west, Saptasring at 5,038 meters in the south, and Nilgiri Parvat at 6,479m in the North. 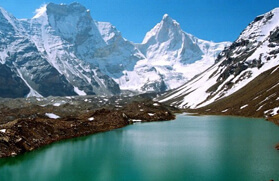 The River Pushpawati, which originates from left bank of Tipra glacier near Bhuindhar Khal flows down through the Valley of Flowers and joins Lakshaman Ganga at Ghangaria to form Bhuindhar River. Arrive at the Delhi International Airport where our representatives will welcome you and transfer you to your pre-booked hotel for a comfortable overnight stay. After the hearty breakfast, board an AC train for Haridwar. After arriving in Haridwar, our representative will drive you to Rishikesh. Check in to your hotel. In the evening, get ready to visit the sacred city of Rishikesh, famous for temples, ashrams and awe-inspiring nature. Overnight stay at the hotel. After the breakfast in the morning, proceed for a drive to Joshimath via divine towns of Devprayag, Rudraprayag, Karnprayag and Nandprayag. 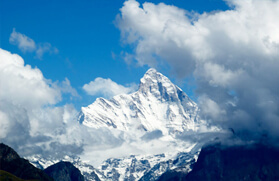 Arrive in Joshimath in the evening and check into your pre-booked hotel. In the evening, visit the local vibrant market of Joshimath. Overnight stay at the hotel. In the early, drive to Auli from Joshimath. 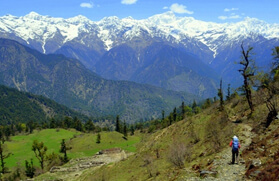 The trekking starts from Auli and takes you the enchanting meadows at Gorson. 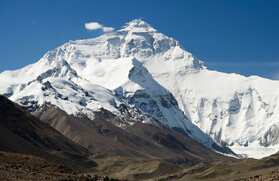 From Gorson, the stunning Nanda Devi peak can be seen clearly. After Gorson, trail to the campsite at Tali. Overnight stay in the tents. Early in the morning, undertake trekking from Tali to Kuari Pass. 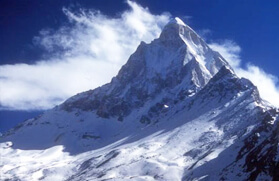 During the course of the trek, see the prominent Himalayan peaks such as the Dronagiri, Hathi Ghora, Kamet, Neelkanth and many more. 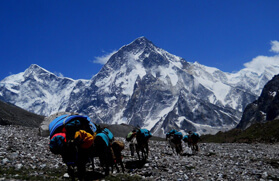 Later, carry out trekking to Khulara. Overnight stay in the tents at Khulara. In the morning, start a journey to the Tapovan Village, which is the road head. From here, board the vehicle for a memorable drive to Joshimath. 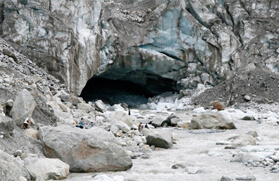 Upon arriving Joshimath, check into your hotel and rest of the day is free for your own leisure activities. Overnight stay at the hotel. In the morning, drive to Govindghat and the trek starts from this place to Ghangria. In Ghangria, you can admire the natural beauty of the place. There also lots of tea shops where you can take a sip of tea and take some rest. Overnight stay at the hotel. The trek to the captivating valley of flowers begins from Ghangria. The trail ends at the bridge over the Pushpawati Temple. 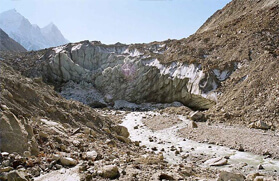 From here the trek moves towards the valley at Bamin Dhaur and continues to the Tipra glacier. The valley is replete with more than 500 species of Botanical plants. In the afternoon, return to Ghangria. Overnight stay at the hotel in Ghangria. 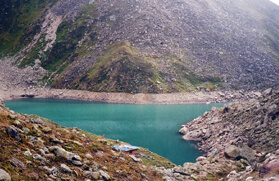 In the morning, get ready for a trek to the pristine Hemkund Lake. The lake is around 6 km away from Ghangria. 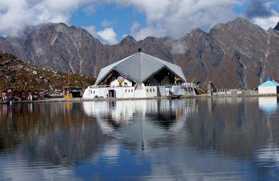 Visit the divine places of Guru Gobind Singh and Lokpal Temple located by the lake. In the afternoon trek back to Ghangria for the overnight stay. 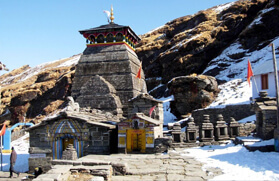 Undertake an easy trek to Govindghat that consumes nearly 4 hours. From this place, board the vehicles to reach the majestic town of Rudraprayag. Overnight stay at the hotel. Enjoy a day's drive to Rishikesh by seeing the verdant landscapes. Arrive in Rishikesh, check into your hotel and enjoy an overnight stay. After breakfast, drive to Haridwar and from here board an AC train for Delhi. Upon arriving in Delhi, our executives will transfer you to your pre-booked hotel. Rest of the day is completely free to give your body much needed rest. Overnight stay at the hotel. Transfer to the Delhi International Airport for your onward destination.